You’re finally heading on the trip of a lifetime and can’t wait to be up close and personal with the monuments you’ve viewed from afar for so long. The Eiffel Tower’s incredible light show, The Colosseum’s fascinating presence in the middle of main city thoroughfare, Berlin’s Brandenburg Gate’s intimidating prominence; all simply cannot be missed through the lens of a camera with perfect images to look back on year after year. All too often the long coveted photograph ends up looking nothing like those in the glossy magazines or films you’ve admired them from before. The reality is that they are usually surrounded by hundreds of tourists or much too large to fit a single lens. Fear not though, we have your solution. With these simple tips you’ll have the best places to photograph Europe so that your images are not only ones to be proud of, but worthy of looking back on in years to come. Here’s your guide to the best places to photograph Europe. 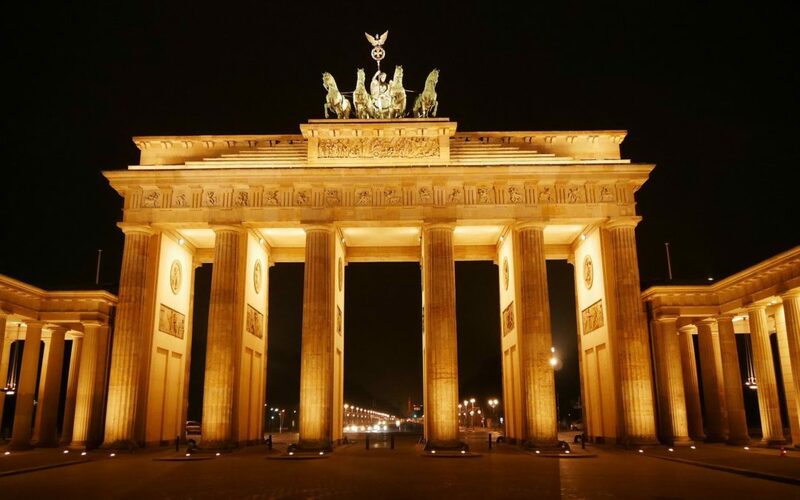 Easily one of the most iconic sights in Berlin, The Brandenburg Gate is a masterpiece. The sheer size of the structure brings feelings of strength, power and resilience which is as much behind the motivation of constructing this 25 metre high monument as is the presence noticed when viewing it. Luckily for travelers, the Brandenburg Gate has space in front of it to be able to capture from a distance the entire structure in one go. The problem is not catching it all in one frame but more doing it justice and minimizing other travelers in the shot. 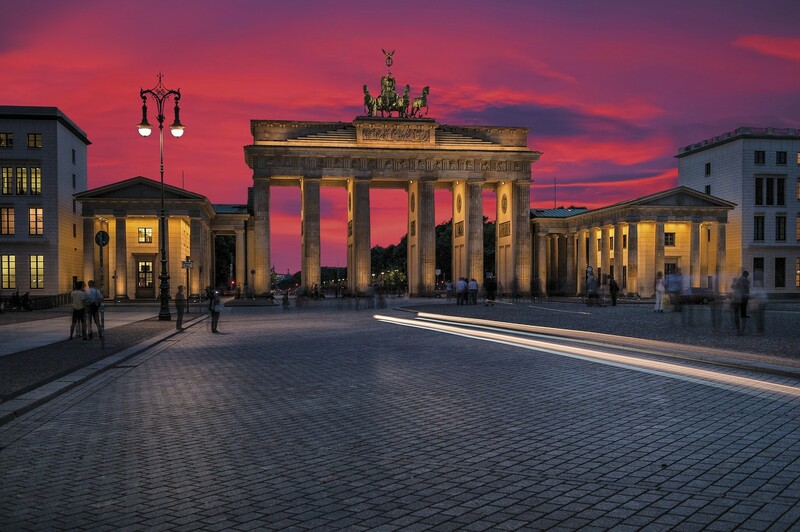 For the best photograph of The Brandenburg Gate, visit at sunset when the Gate is illuminated from within, with a backdrop of florescent night’s sky. Not only is it a rather pretty sight but this time of day also means you’ll have fewer travelers walking by with whom to contend with in your image. Standing on Pariser Platz facing West, line yourself up symmetrically with the gate. Try lowering yourself toward the ground with your lens pointing up toward the chariots at the top. This will give you a beautiful proportionate shot while also capturing a sense of presence which is easily felt from the gate in person. In Summer there are fountains near the Gate running until 10pm, so time your Summer visit from dusk-10pm for additions to your photo. Perhaps even more striking than what The Colosseum was used for in it’s hey day is the fact that it is positioned in the center of a busy road, in an equally busy city. Unlike so many monuments which become places of interest on the outskirts of town, the Colosseum remains in prime real estate of a city which has learnt to function around it. Needless to say that visitors to Rome can find it troublesome to do the monument justice through a lens; cars whizzing past and people wandering by can spoil any chance of doing justice to a building that served as medieval entertainment for those in power of the Roman empire. The best place to position yourself for images of the Colosseum that are worthy of showing mates upon a return home is to head to Parco Del Colle Oppio. This is a hill directly across from the Colosseum on the North Eastern side. Being slightly higher than the road and in an area without traffic means unobstructed photos of the World famous Colosseum can be achieved. For photos at ground level or at the slightly elevated section to the rear of the Colosseum, sunrise is the perfect time of day. This is when there are fewer cars and foot traffic plus the light beaming through the window spaces creates an almost eerie look; perfect for capturing the true essence of what this magnificent look into history presents. 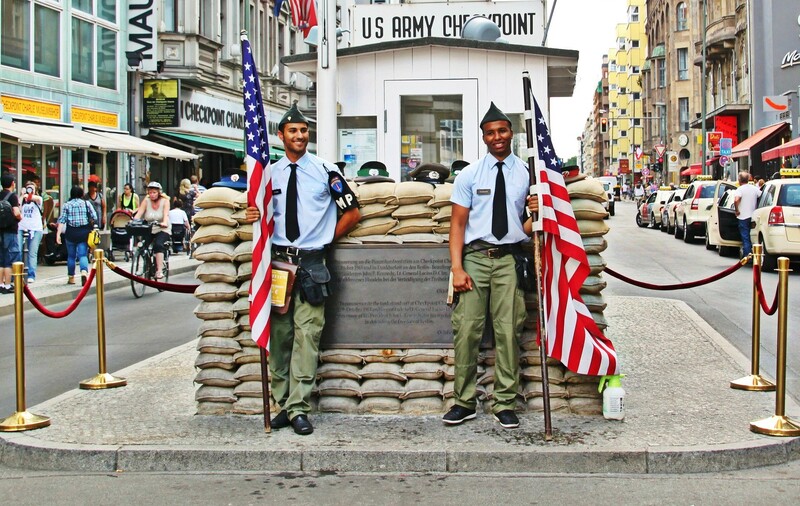 For travelers today, Checkpoint Charlie is different to other monuments throughout Europe because it is a recent landmark symbolizing a divided city within our lifetime. The Berlin Wall was erected to segregate East and West Berlin with Checkpoint Charlie the guarded border crossing for those eligible to enter. Visiting the spot today is a colourful experience with plenty of murals, artwork and observation areas, including the section of the wall that remains intact following the 1989 demolition. Positioned in the center of a dual access road, Checkpoint Charlie – links many popular spots in Berlin – is busy during rain, hail or shine. Grabbing that perfect image can be a challenge. Expect to have ample bystanders in your photos unless you wake at dawn. This is the best opportunity to snap the coveted unknown person free photo. Stand in the center of the road to capture an asymmetrical image which will work wonders at reducing the emphasis on the florescent glow of the golden arches which stand close by. 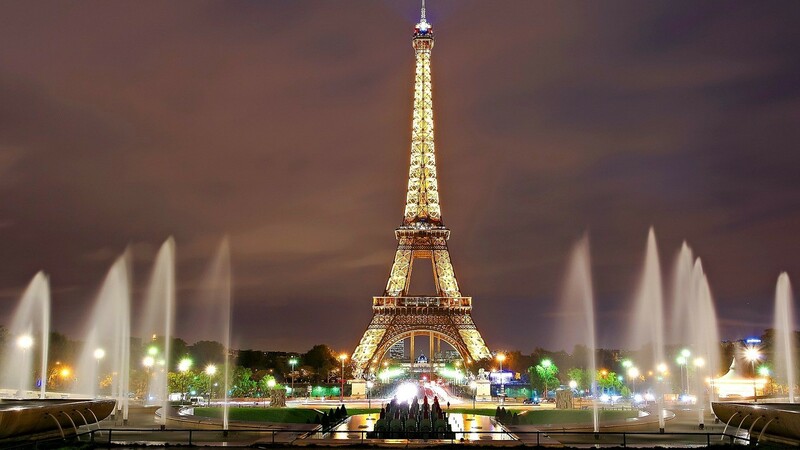 Arguably the most photographed structure in all of Europe and located in the most romantic city in the World, the Eiffel Tower is not to be missed. Standing at 300 metres tall and with a steady flow of travellers underneath, the best place to photograph the Eiffel Tower is not at the tower itself. There are a handful of offsite locations that allow a photographer to snap a photo of the Eiffel Tower in one shot. Up close will only see either the lower or the upper sections of the tower come into shot. Pont De Bir Hakeim bridge is one such place. Located on the northern end of île aux Cygnes will enable a direct shot of the entire tower and for those who would like the added Parisian flare, boats and Seine River can also be in a shot. Place Du Trocadero is probably the most photographed view of the tower and for good reason too. Select this spot at sunrise to avoid the crowds but if you are happy to pry for space with plenty of other travellers, a sunset shot of The Eiffel Tower from here is exquisite. 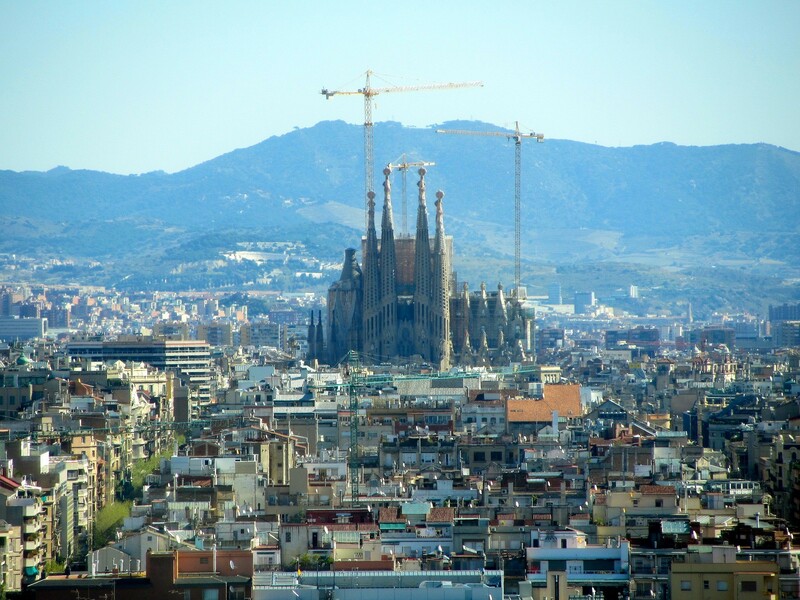 A giant cathedral that resembles a structure from a fairy tale, Sagrada Familia is one of the famous works of Gaudi. Because the building was incomplete and remains in a continuous state of repair it is unlikely a photographer will snap the building without also capturing cranes in the frame. That aside, the building is one for the album and must be caught on camera to be remembered in time for all it’s quirky attributes. From the park across the road it is possible to gain a cliché shot of the Sagrada Familia that resembles any of the others seen however for the best view there is a secret location. Standing on the rooftop of hotel Ayre, on Rossello street is a perfect place to take a shot from off the ground. This will enable a greater perspective of the turrets, spires and peculiar windows, with as much detail coming through the lens as possible. Want to book your next travel experience with us? View our Personal Travel Managers and find the best match for you and let them help you plan your dream holiday!